QuakeCon is in full effect here in Dallas, Texas, and thanks to the rad people at Bethesda I was lucky enough to spend some time with The Evil Within 2. First things first, the game finds Sebastian, several years after the events of the first game, a burnt out alcoholic with zero credibility. The world doesn’t believe his accounts of what happened at Beacon and like any fantastic horror/noir protagonist; he is drowning his misery in alcohol. Three years go by, and this is when we join Sebastian again to lead him through yet another terrifying, messy, reality warping and zombie blasting adventure. 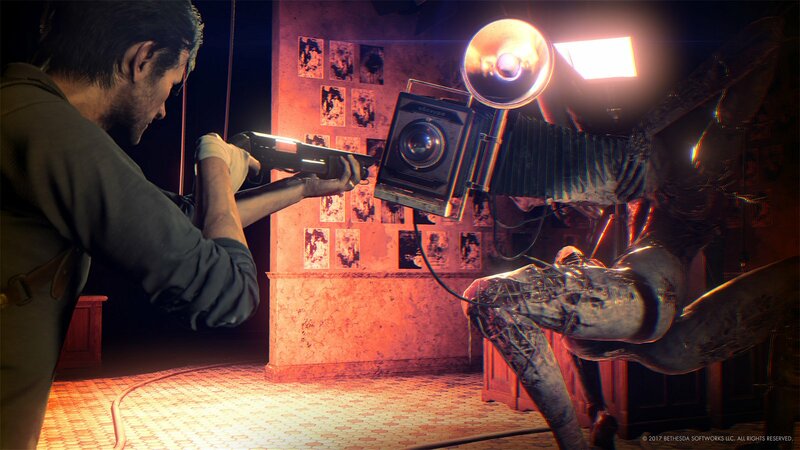 The Evil Within 2 sees our happy-go-lucky hero being dragged back into the messy world of STEM in hopes of finding his apparently—but not really—missing daughter. Kidman, Sebastian’s pal from the first game, contacts Sebastian to let him know that Lily, his daughter, is actually alive and was the test subject for the evil Umbre…sorry, Mobius corporation’s plans to use STEM on Lily to create Union, the setting for the sequel. Gameplay is familiar for those veterans of the survival horror genre, including various weapons that never seem to have enough ammunition, upgrades galore, and the always-entertaining and satisfying stealth sections. 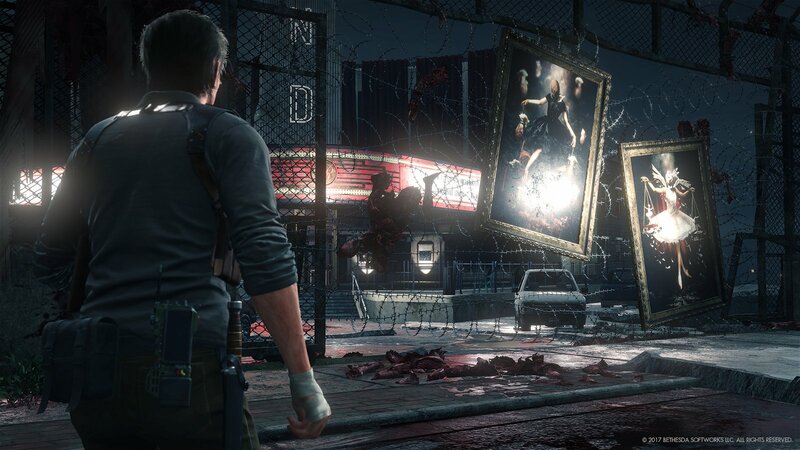 What’s interesting about The Evil Within 2 is the semi open-world structure, which really works in conjunction with Sebastian’s communicator device. This device can pick up signals, and the player can choose to focus on the main goal of finding Lily, or tracking down the source of various other signals—side quests—to find out more about the story, discover what happened to certain Mobius agents, and find more weapons and upgrades. As far as upgrades go, Sebastian can collect all kinds of ingredients and crafting materials to upgrade and expand his skill set, weapons, and personal attributes. A hub world of sorts takes the form of the Krimson City police department, and it is here where Sebastian can tinker with his weapons and journey into the realm of creepy madness to upgrade his own statistics—like health, stealth, etc. The setting of Union is traditional survival horror fare, with an Inception-style twist that shows various aspects of the “city” in warped and geometry breaking fashion. Creaky doors, rotting corpses, flies, detritus, broken down cars it’s all here and all adds to the atmosphere of a messed up pseudo-reality where anything can happen. The sound design is fantastic, especially when played with a decent headset. 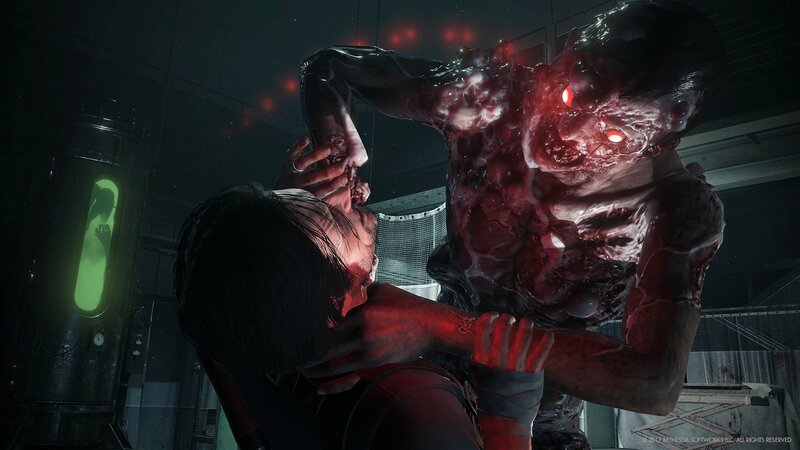 Moans, groans, bugs, screams, and thunderous glitches all sound fantastic when pumped directly into your brain and all comes together to form a full-on horror experience. 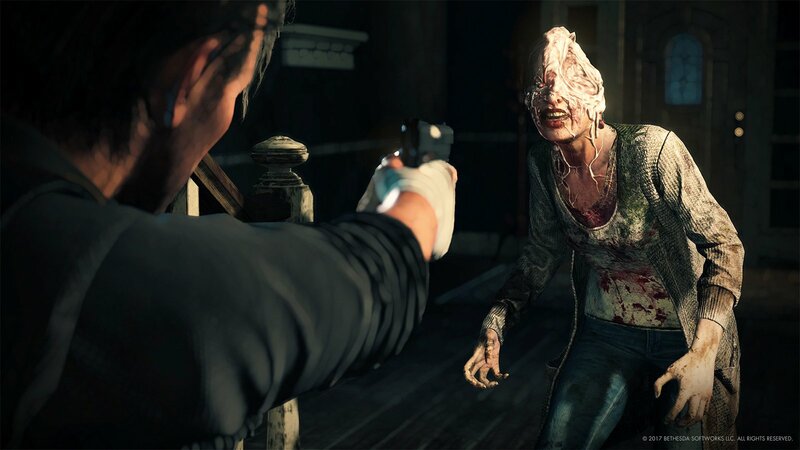 While last years Resident Evil 7 resurrected—ha!—what was basically a dead franchise that started this entire genre, The Evil Within 2 looks to be the heir to the throne. It looks and sounds fabulous, and has plenty of crafting and combat mechanics to keep players busy, especially on the harder difficulties. The game launches, fittingly, on October 13th, a Friday. I don’t think Bethesda could have chosen a better date to drop their next installment for their signature horror franchise. CGM Sound Off – Dreamfall is back! Sound Off – Is A Format War In VR Bad?